The hospital continues to operate over capacity, placing stresses on its ability to deal with patients in the emergency room, Northumberland Hills Hospital Executive Director Linda Davis says. In an interview with Consider This Northumberland, she said the hospital currently fills 135 per cent of its beds, meaning it has one-third more people than the hospital can afford to operate. While it has received an additional $250,000 in funding from the Ontario government to open four more beds, it is not enough, Davis said, but the hospital works hard to ensure nobody is without care. 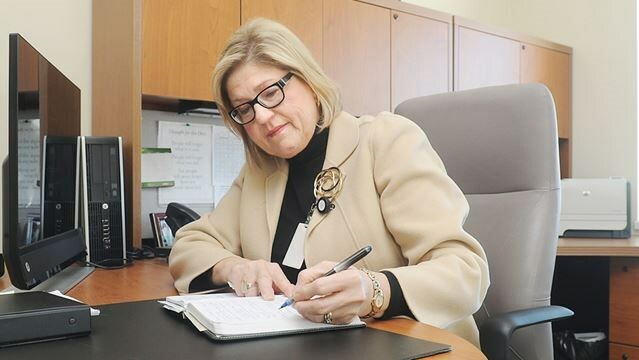 In a series of candid answers, Davis outlined the challenges and successes of the hospital as it prepares for the proposed changes announced by the provincial government recently. She addresses directly complaints raised in the local news media about hallway medicine. Davis speaks frankly about the government’s plans to create a super-agency called Ontario Health to replace the Local Health Integrated Networks (LHINs). It is also planning to create a series of Ontario Health teams where doctors, services providers, and others will collaborate to provide health care for up to 300,000 people. Listen for her responses on the various proposal and her vision as the hospital moves forward.